The shakeout in online travel continues. Expedia (EXPE) turned heads last week after announcing a $1.34 billion deal to acquire smaller rival Orbtiz Worldwide (OWW). Orbitz had been an industry laggard for years, consistently posting annual losses since going public at $15 in 2007. Orbitz finally turned the corner with a profitable showing in 2013, building on that with an even stronger performance in 2014. The stock that had spent most of its publicly traded life waffling in the single digits -- and never trading above its $15 initial price tag -- seemed as though it was about to finally pay off, but that's when Expedia stepped in to take it out at just $12 a share. It's not a bad deal for Orbitz investors who bought in at nearly half that price a year ago, but the market won't view the once-promising travel booking website as a Wall Street success. It was a long and bumpy flight from $15 to $12 in eight years. Orbitz is just the latest item checked off Expedia's massive shopping list. Last month it bought Travelocity in a modest $280 million deal. Last summer it acquired Australia's Wotif in a $658 million deal as well as European car rental specialist Auto Escape. 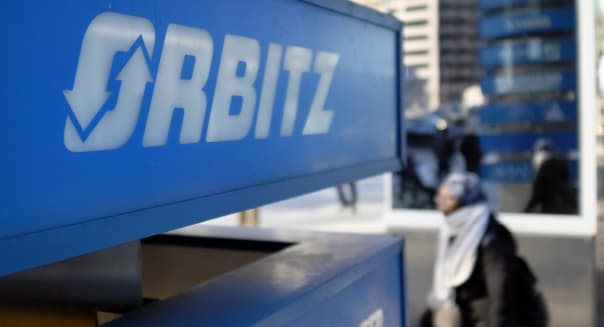 Regulators still have to approve the Orbitz deal, but they haven't flinched before. Once the purchase is finalized, it will result in just two companies controlling the most relevant travel websites in most of the world. If Expedia isn't sweeping you off your feet, there's a good chance that Priceline (PCLN) beat you to it. Expedia and Priceline have basically lined up as team captains, picking out players for their squads. Team Expedia's portfolio now includes Hotels.com, CheapTickets.com, HotWire, Travelocity and eventually Orbtiz. Team Priceline has enlisted Kayak, Booking.com and Rentalcars.com. The market has rewarded the serial acquirers. Shares of Priceline and Expedia have soared 136 percent and 217 percent, respectively, since the end of 2011. In other words, it's not just travelers that have been taking off through the two dot-com giants. All of this power consolidated in two companies may not be in the best interest of consumers who prefer to shop around before booking travel plans, but the market's rewarding Expedia and Priceline for their rival-swallowing ways.